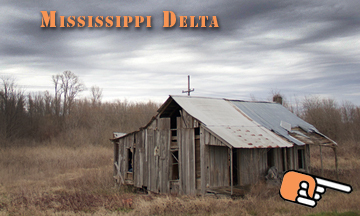 The Mississippi Delta is rich in oral history and holds old and new stories waiting to be discovered and shared with the rest of the world. Explore new ideas at the birthplace of blues artists like Robert Johnson, B.B. King, Sonny Boy Williamson, Howlin' Wolf, and Muddy Waters. Step into Juke Joints and hear how Delta and Hill Country blues still shapes the lives of North Mississippi.